EACOE Certified Enterprise Architects have the proven ability to perform Enterprise Architecture activities using globally accepted standards and guidelines. They ensure the enterprise’s information technology and business systems are aligned with business goals, are capable of change in continually changing business and technology climates, can reuse enterprise systems assets, and are cost effective. 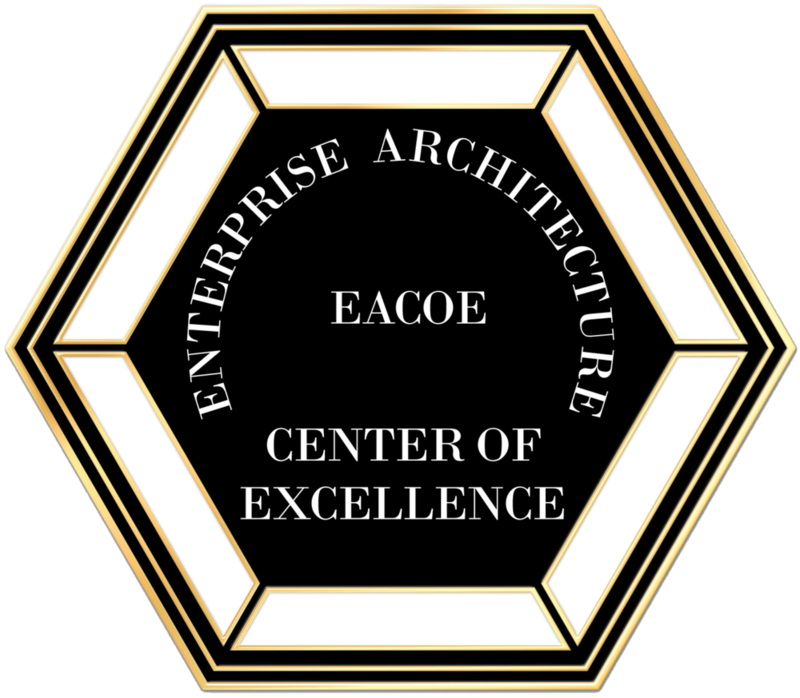 The EACOE provides a recognized practitioning standard for Enterprise Architects. As you review the workshop outline, you will see the most comprehensive and complete body of knowledge in the profession. Certification through EACOE will provide you with a referenceable standard and is the benchmark for the Enterprise Architecture practitioning profession. You will be recognized for your achievements—now and in the future. Certifying against a defined body of knowledge is crucial to advance the profession. All professional disciplines begin with a body of knowledge as a reference point. The EACOE Enterprise Architecture Certification process follows this professional discipline. Without this body of knowledge, the results of the Enterprise Architecture will be inconsistent and difficult to verify. As an example, chemistry was alchemy until Mendeleev defined the chemical periodic table of elements. Once the periodic table of the elements was defined, a “body of knowledge” resulted. From this body of knowledge, alchemy could be transformed to chemistry and chemical engineering. The chemical engineering profession then flourished. Numerous parallels in other disciplines can be shown with similar outcomes. receive the appropriate level of certification. continue to advance the profession. Once a new workshop has been listed, to register, please complete the form provided on our website. As sessions often fill up quickly, we would like to hear from you right away – even for certification workshops several months in the future. We want to be able to accommodate you, and look forward to your participation. For a list of our 2019 Enterprise Architecture workshops, please visit our Workshop Dates page. Your registration confirmation will be emailed, faxed, and sent via U.S. mail within five business days of registration. If you have any questions concerning your registration, please call (810) 231-0531.